The goal of the Counseling and Consultation Center (CCC) is to help students manage the challenges of college life. The Counselor is available to help students deal with their personal and academic concerns to facilitate their success in school and in life. If serious harm is about to happen to any person, including one’s self, please call 911 immediately. During regular office hours of 8:30 a.m. -5:30 p.m. Monday-Friday, please call 512.505.3044 or go to the Sandra Joy Anderson Community Health and Wellness Center. Identify the situation as urgent or crisis. In the event of a mental health crisis (non-emergency) after hours, please contact Austin-Travis County Integral Care’s 24/7 Crisis Hotline at 512.472.HELP (4357). 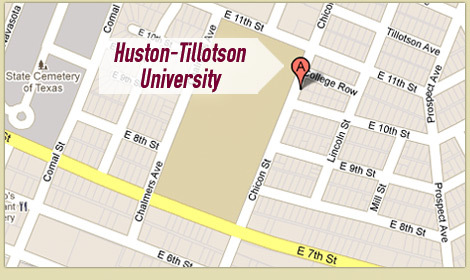 The counselor will provide respectful, competent and compassionate services to all students attending Huston-Tillotson University. Students sometimes need to talk to someone, and voice their feelings, thoughts and behaviors that are troubling them. Counseling helps students become aware of their feelings and underlying issues. Counseling helps students identify problems, find solutions, and build an effective plan of action. The Counseling and Consultation Center extends a warm welcome to all veterans, active duty and active reservists. You are invited to utilize our services at any time while enrolled. Screening for Mental Health – This free & confidential screening program is intended to help you make the decision to seek additional help, if desired, in areas such as Depression, Eating Disorders, Alcohol use and abuse, Generalized Anxiety, and Post Traumatic Stress. You may call 512.505.3044/512.505.3046, visit the Counseling and Consultation Center in the Sandra Joy Anderson Community Health & Wellness Center, or send an e-mail to counseling@htu.edu. When you come in to talk with the counselor for the first time, you will be asked to complete an information sheet that provides your counselor with background information about you (download Intake Form here). Then you’ll sit down and start a conversation to explore the problems you are facing and ways to make things better. Sessions usually last 50 minutes. How to make the most of your counseling session? Be an active participant: Come to your appointment and be open and honest with your counselor. Explain what you would like to get from counseling. Describe the thoughts, feelings and behaviors that bring concern to you. Be patient: Talking about your problems is not easy. Finding solutions takes time. Do not give up. Counseling works! Due to the heavy demand for counseling and consultation services, we ask that clients call to cancel or reschedule appointments at least 24 hours in advance so that the appointment time may be utilized by another student waiting for an appointment. When a client misses multiple appointments, she/he may be asked to confer with the Center director before additional appointments will be scheduled. If a client repeatedly misses scheduled appointments and reasonable accommodations have been offered, the client may be referred to appropriate professional service providers in the Austin community. The services provided by the Counseling and Consultation Center (CCC) are confidential and do not become part of the student’s academic record. The CCC operates according to ethical, federal and state guidelines which protect the privacy of the student’s medical records. The link below provides information from the National Suicide Prevention Lifeline. It is a national network with information available to anyone in suicidal crisis or emotional distress. *Developed in accordance with the LGBTQ policy at The State University of New York-Albany. This Behavioral Incident Report is designed to enable faculty, staff, and students to voluntarily report “red flag behaviors” that may raise concerns and incidents of student misconduct at Huston-Tillotson University. An incident, in this context, is an event that does not warrant immediate intervention, or an “indistinct” emergency. In the event of an emergency that requires immediate intervention, call 911 or Campus Safety. The Behavioral Incident Report will provide a mechanism for responding to aggregate data on the nature and frequency of disruptions at Huston-Tillotson University. This report provides a standardized method for recording observations of troublesome behaviors and for alerting staff of potential concerns. Information in the Behavioral Incident Report may also be considered in determining appropriate disciplinary action with students.